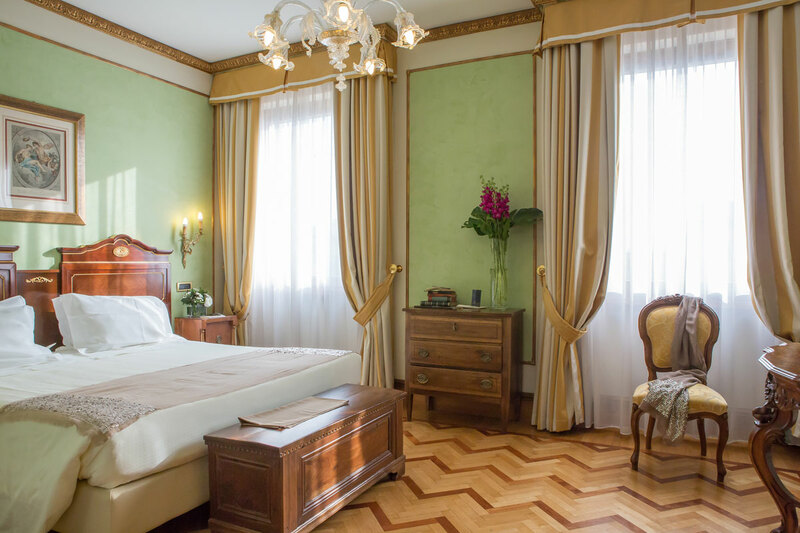 In 2010, the precious building was acquired by Duetorrihotels Group: a young and dynamic Italian company that is active in the hospitality sector. 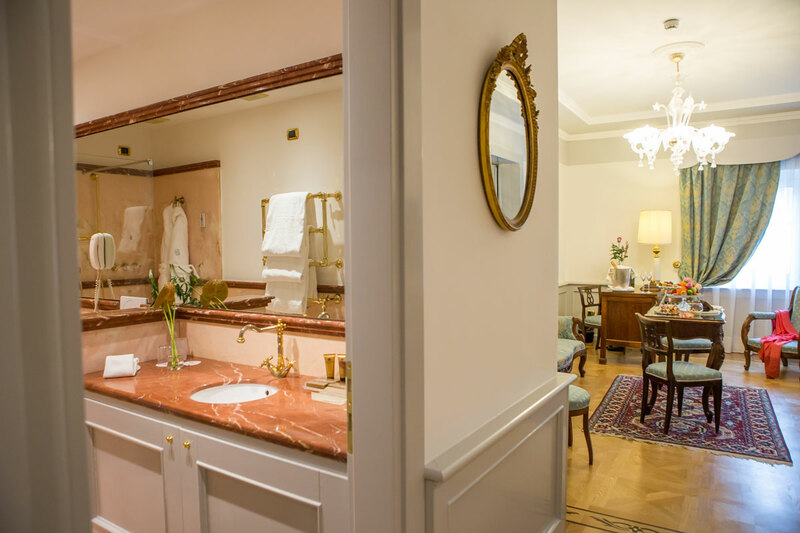 The mission of the group run by Franco Vanetti is to give back to Italian hotels their traditionally central role in the cultural and social life of several historic cities. 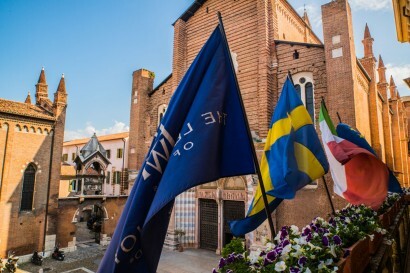 In the 14th century, the Due Torri palace in St Anastasia place was called ‘Dell’Aquila’ (The Eagle Palace), and it was used as an inn since 1674. 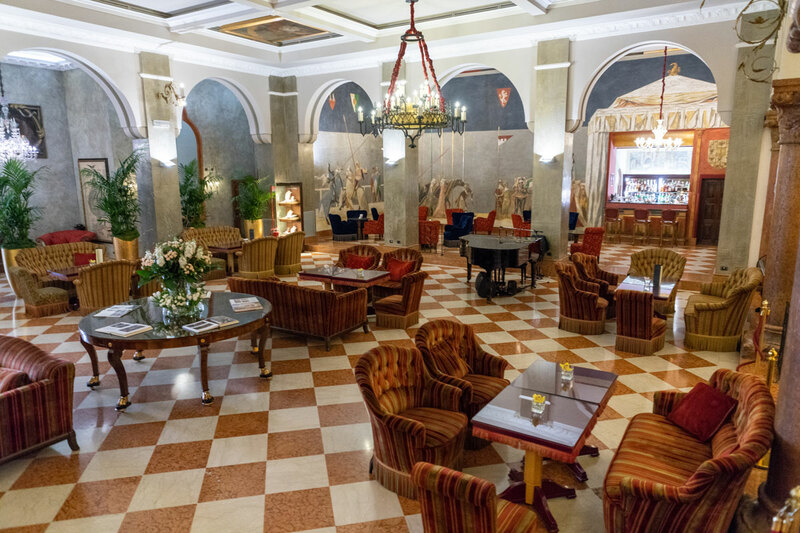 After changing hands several times, in the second half of the 19th century it was purchased by the Arvedi family and renamed as Grand Hotel Imperiale, soon becoming the most famous hotel in the city. 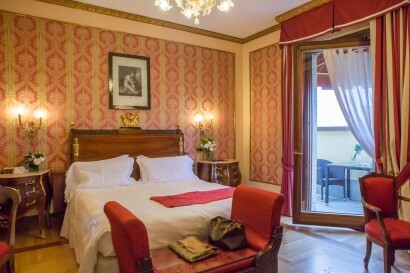 In the 18th century, the hotel hosted the likes of Wolfgang Amadeus Mozart and Johann Wolfgang von Goethe, among others. It also witnessed such historical events as the crowning of the exiled King Louis XVII of France and the signing of the Peace Treaty of Villafranca between Napoleon III, Vittorio Emanuele II, Archduke Ranieri and Field-Marshal Radetzky. 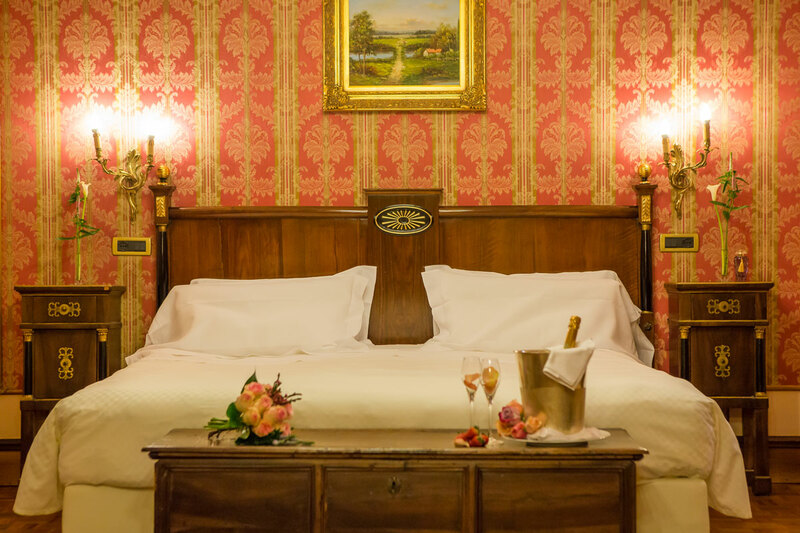 In 1866, Italian patriot Giuseppe Garibaldi came out onto one of the hotel’s balconies overlooking St Anastasia square and talked to the people of Verona. 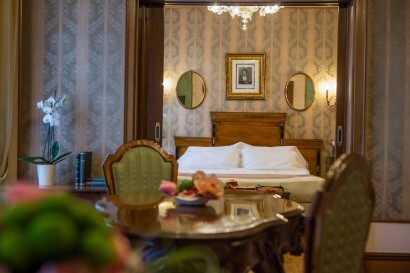 In 1959, after some ups and downs (several ministries of the fascist Salò Republic had installed their headquarters there), it finally became a hotel again thanks to the commitment of Enrico Wallner, an illustrious landowner of Verona. 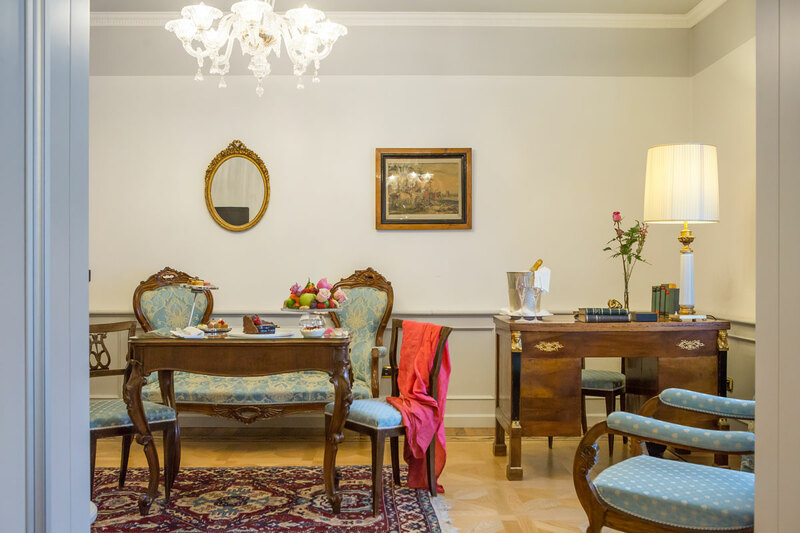 Starting from 2010, the Hotel has completely restored in all the rooms and common areas. All the tapestries have been removed and now the rooms have original wooden floors. In the spring of 2013, an exclusive roof-top panoramic terrace was opened. 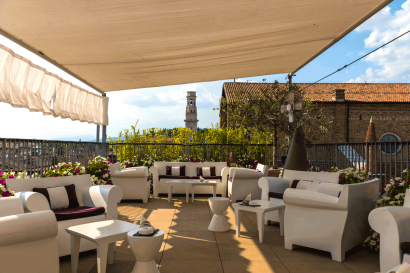 The Grill Restaurant is located on the terrace, which is one of the highest rooftops in Verona and offers a full view of the old town. Moreover, the Arena Casarini meeting room reopened in November 2015 after impressive works of renovation. 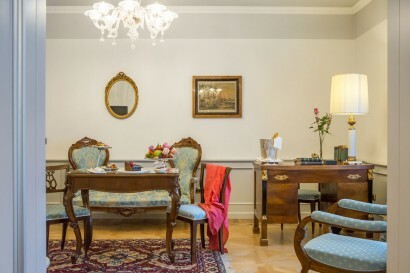 Demolishing the walls has unearthed the magnificent paintings of a last century’s fresco artist Pino Casarini. The Health and Wellness Center, with a state-of-the-art Technogym fitness area, will open soon. The Due Torri Hotel is located in the very heart of Verona and overlooks the church of Saint Anastasia and stands just a stone’s throw from Juliet famous balcony, Piazza Bra and the Arena amphitheatre, which is the cradle of opera music at both national and international level. 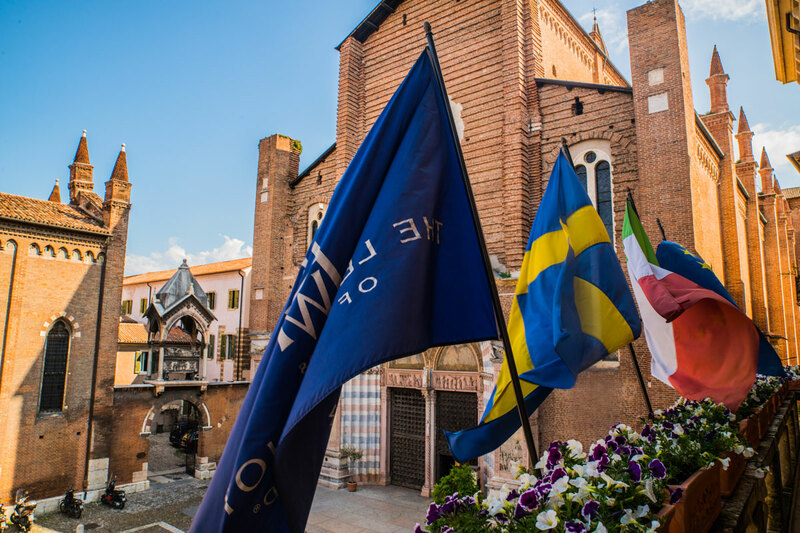 With its central location and long-standing tradition, the Due Torri has contributed to keep the city’s history alive. 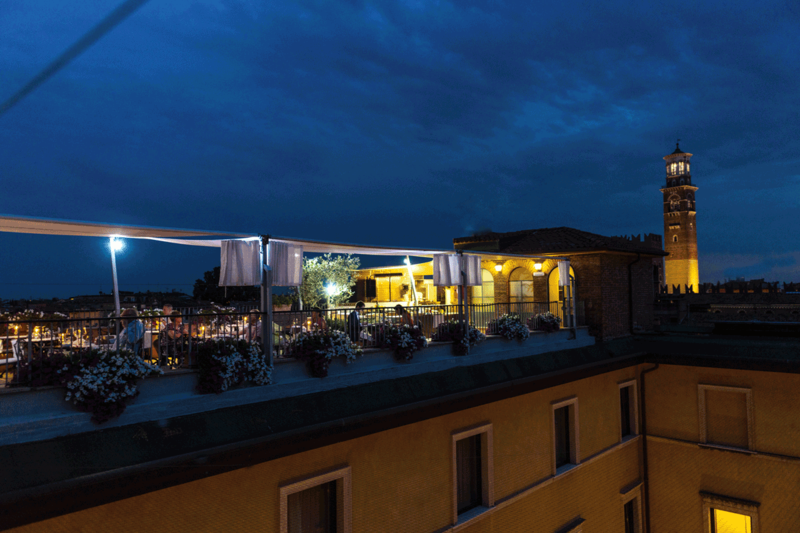 The Due Torri Hotel is the only LHW member of the city with the only rooftop panoramic terrace with Gourmet Grill Restaurant. 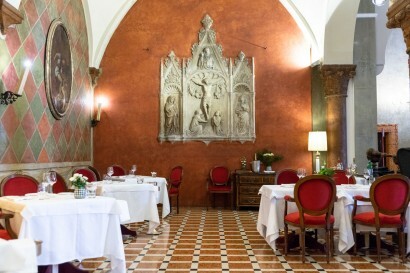 The Due Torri Hotel Restaurant has been awarded with the Three Forks by the Michelin Guide for the quality of food. The Due Torri Hotel is the organizer of the ‘Premio Casarini’ (Casarini Prize). Every year a young painter will be awarded with this special prize and will have the possibility to express his art painting the wall of the ‘Sala dell’Accademia’ (Academy Room). Children under the age of 13 are free of charge. The Hotel will provide baby coat or extra bed. • Health and Wellness center is under construction and will be soon open to public. 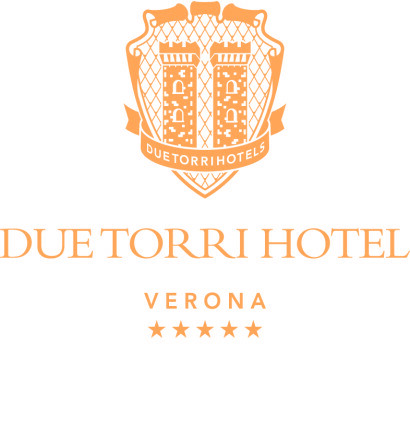 The Due Torri hotel has available seven meeting rooms with a capacity of 20 to 180 people for gatherings and incentive trips, as well as small and medium-size business meetings. They are furnished with care and fitted with modern equipment to ensure the success of your events within an elegant ambience. Its scenic, renewed lobby can also be used as an exhibition space. It is ideal for cocktail parties, banquets (with a maximum capacity of 120 people) and any other kind of business meeting or social event in the heart of Verona. The recent renovations to Sala Casarini, one of the seven meeting rooms of Due Torri hotels in Verona is dedicated to Veronese painter Pino Casarini, and now becomes a real pearl of art. Demolishing the walls has unearthed the magnificent work of a last century’s fresco artist. 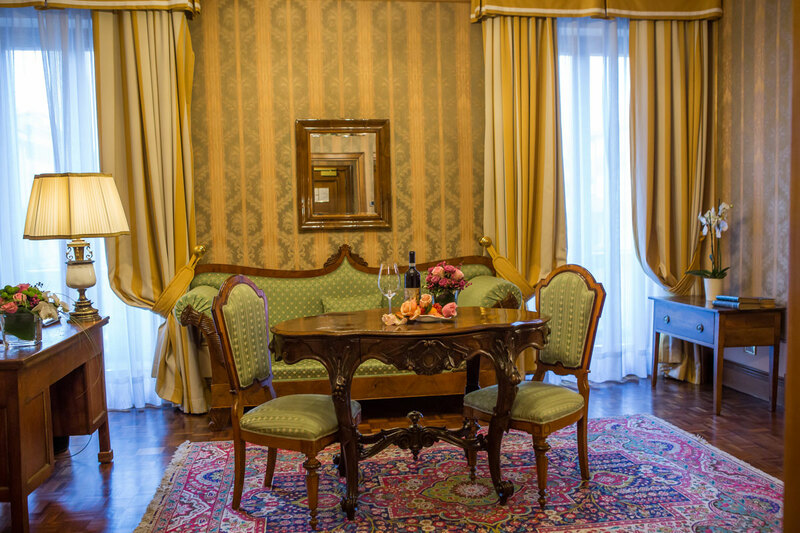 This discovery enhances the artistic and cultural value of Due Torri: the new jewel enriches the precious 14th-century Palazzo dell’Aquila, which is already full of superb interiors and beautiful antique furnishings, just like a real art gallery in the heart of Verona. The Due Torri Hotel organizes wine tastings, cooking classes, Venetian masks creation workshop, Vespa tour.